It should be tomorrow, my birthday. But indeed, I decided to celebrate it today, on December 11. In Brief, I did some petit shopping to Carrefour (because you know, none is open on Sunday but this one! c’est bizzare!). So I bought de la dinde, du boeuf, des legumes, des ails, des pommes de terre, des boissons, des bougies, une tarte aux pommes et des trucs. 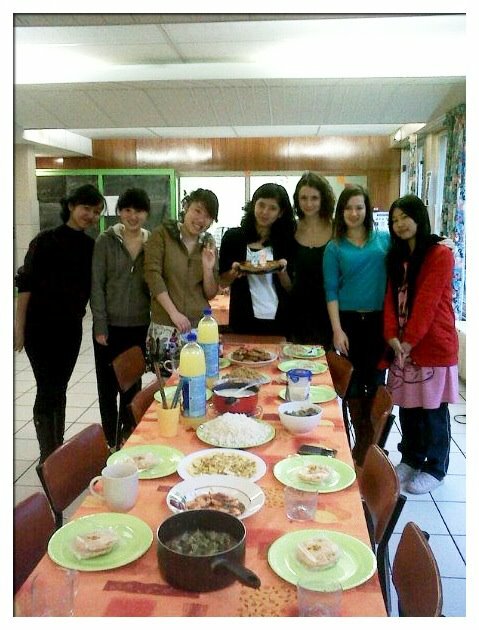 Just after arriving back home, I told my neighbors (Sandrine-Jin Biqian) about my birthday, and I invited them of course. I phoned my friend Karita who lives in another town, Saumur which distance about 60Km or 20 minutes by train. I also invited other girls in my foyer, but some of them won’t be able to make it due to another occasion. 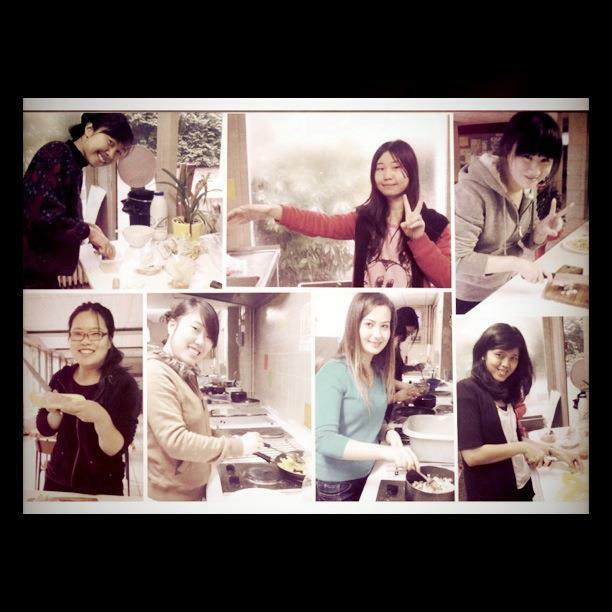 Alors, you know, everybody loves Indonesian food here, modified Indonesian food indeed (I totally made them love these foods *so, I think you have to pay for me Mr. Minister of Tourism, I did my homework very well here, promoting Indonesia la la la*) Then, to ease everybody I will cook, no, they will cook Indonesian foods!!! 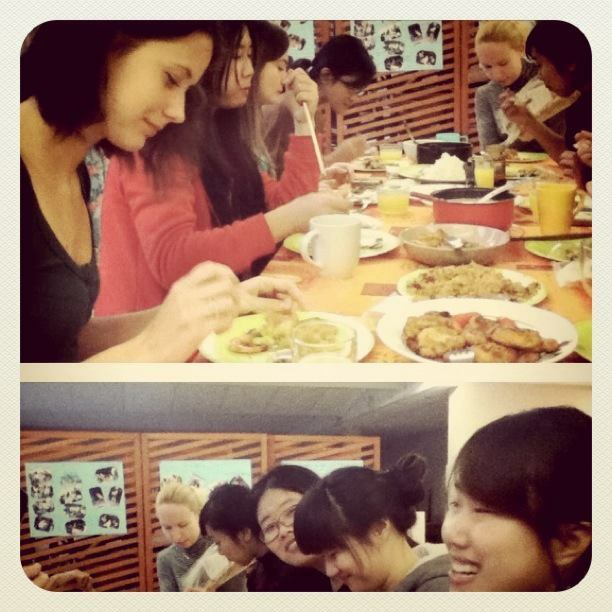 The thing is, it was so nice to see people from other countries cooked your foods. They are that curious about ‘how could it be so delicious?’ ‘One day I want to go to Indonesia, and just eat there!’ ‘can you give me the receipt, all of these foods, after a while?’. They love the tastes; they simply love those ‘fascinating, all inclusive, wow’ foods. 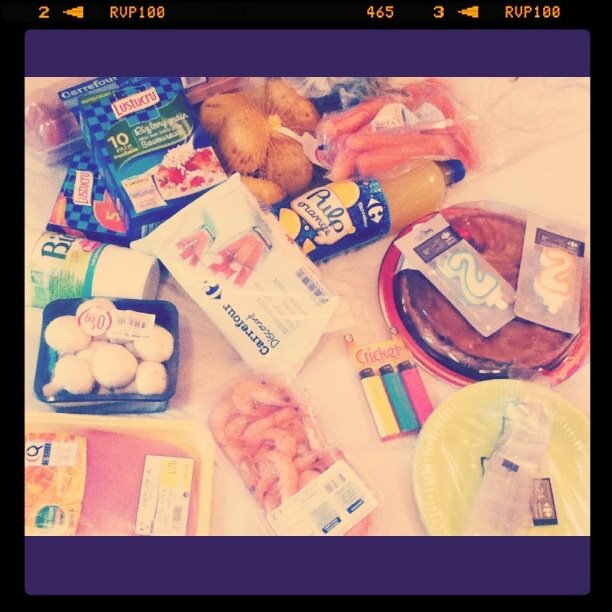 So, we spent for about two hours (I’m not sure, but may be more than that) for cooking! Let’s start the party! We ate, we talked; we took so many photos together. I’ve got some presents (that’s very nice of you all, though it’s a bit a sudden party, à la limite pour trouver des cadeaux). It’s touching! 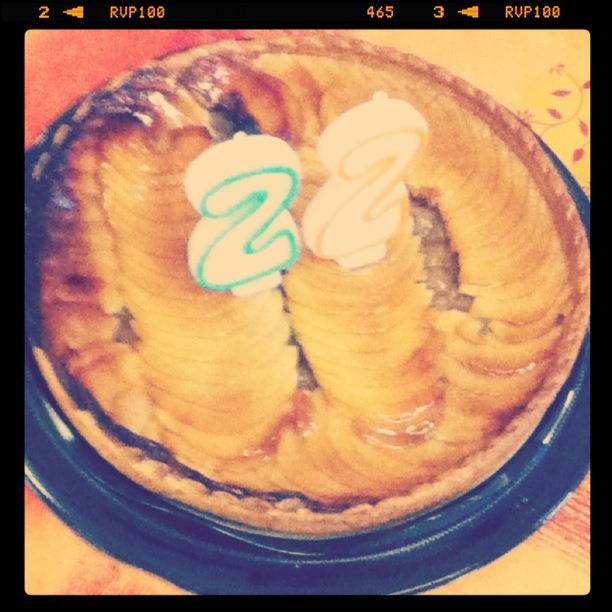 We continued to ‘work’ with the tarte aux pommes (I was a bit worried whether it’d be enough for everybody, or not. It’s a tiny tarte!). My first slice was addressed to my parents of course, but then I ate it my self, by the way. Next postStarbucks? Kenalan dulu aja Mbak, kenalan.